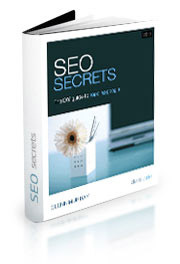 ‘SEO Secrets’ is a comprehensive DIY search engine optimization (SEO) guide for small business owners, bloggers and SMB marketers. It details a practical 10-step process that will get you to the top of Google. It's more than tips & tricks, and more than advice. It's a comprehensive process you can start implementing NOW.